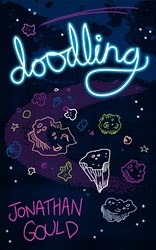 Today’s guest blog is by Jonathan Gould, author of Doodling. Doodling is an absurdly comic novella about a man (Neville Lansdowne) who falls off the world – because the world is moving too fast for him. As described in the excerpt above, he then finds himself floating in the middle of an asteroid field which provides the setting for the remainder of the story. Obviously, while asteroid fields are a genuine phenomenon, my setting does not refer to a real location. It’s something that came out of my head, but that does not make it any less special. The idea for the story originally came from a comment my wife made, that she was finding things moving too quickly for her. My overactive imagination took hold and I began thinking of what would happen if the world moved so quickly that someone actually fell off. Where exactly would that leave them? And that’s when the idea of the asteroid field came in. What I really liked about using this location was the way it allowed me to have a couple of levels of characterisation. Many of the asteroids had a kind of personality of their own. In particular, there’s one that becomes known as the Aimless Asteroid, because it seems to wander here, there and everywhere, that definitely seems to be become a character in itself, a bit like a lost dog. The second level of characterisation refers to the actual people who live in the asteroid field (and let’s face it, it wouldn’t be much of a story if there was nobody else there). Many of the characteristics of the people Neville meets are very-much defined by the features of the asteroid they live on. The Aimless Asteroid is a good example as the girl Neville finds there is similarly aimless. Another asteroid is particularly featureless and boring but the couple who reside there have found some highly unusual ways of dealing with that (but I’m not going to tell you what they are). So the asteroid field as a location turned out to be a really rich source for characterisation. What also worked really well was the space (space – get it!) for satirical observation that it allowed. As a fantastical location, it allowed me to open up a bit of a window on the kind of pointless, silly things that we people get up to in the real world. The ideas for the various asteroids I created came from a variety of sources, for example current events, things I read in other books, or sometimes just random inspiration, coupled later on with the need to generate a couple of extra characters to get the story finished. But what was particularly interesting was the way readers responded to the various characters and situation within this location. Some readers, obviously on a similar wavelength to me, were able to recognise some of these ideas and it was fascinating to see them described back to me in reviews. But other people came up with wholly different ideas to explain what was happening, which I thought was great. Reading a book is a personal experience and readers have no obligation to interpret things in only one way. As a writer, it’s a wonderful thing to see readers ascribing different meanings to my words and really makes me feel like I’ve created something with some level of depth. So that’s a little something about how place is an important element in my story. In my case it’s an imaginary space, an internal one that originally belonged to me alone. But as my book has gone out to the world, it now belongs uniquely to each of my readers as well. A big thank you to Jonathan Gould from Melbourne, Australia for sharing this guest blog about an asteroid field, the setting for Doodling. For more of the story, read the sample at Amazon and visit Jonathan’s blog here: http://daglit.blogspot.com. 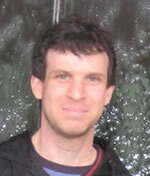 You can also follow him on Twitter as @jonno_go.